A native of Kansas City, Missouri, Pastor Ron Kelly has had the opportunity to carry the gospel all over the country preaching the Kingdom of God. In 1990, Pastor Ron received a call from God to surrender his life, which he accepted; not many years following that life-changing event, in 1992 he accepted his call into ministry. In the fall of 2005, Pastor Ron founded the New Generation Christian Center, holding the first service on January 8, 2006. Starting with 7 people, God used Pastor Ron to preach fresh and inspiring messages that transcends the ordinary, making NGCC the fastest growing progressive black congregation in Lee’s Summit, MO. Pastor Ron believes the key to increasing the churches today is spiritual commitment and personal involvement. He has committed his heart and his life to Jesus Christ and compels others not to settle…but to take their prayer, faith, giving, praise and worship to the next dimension. Pastor Ron unapologetically preaches the Gospel of Jesus Christ every Sunday morning, with the prayer that believers will transition from religion…to relationships! He encourages believers to acquire the necessary skills and experiences to develop an attitude that promotes spiritual growth and Godly wisdom. 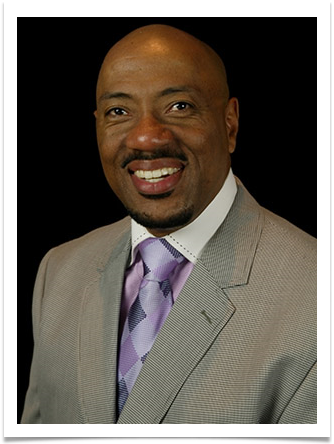 Pastor Ron is also a multi-subject conference speaker and workshop facilitator. He is the author of the inspirational book entitled, “Oops, I Did It Again!” - helping believer’s understand God’s grace and mercy.